Navy Wounded Warrior Anchor Program Supports a Grateful Family (Navy.mil) A retired Navy command master chief who serves as a Navy Wounded Warrior (NWW) – Safe Harbor Anchor Program mentor – spent valuable time with a Coast Guard wounded warrior and his family in Carlisle, Pa., during November. Workshop advises service members in transition (The Redstone Rocket) Whether a service member retires after 20 years or gets out after just one tour, the Army’s Transition Assistance Program helps service members and their families transition into civilian life by offering job-search assistance, financial readiness planning and related services. Veterans in Private Sector: Making the Transition (Federal News Radio) Why should you hire a veteran? Here are a few reasons: They possess great leadership skills. They take initiative. They assume responsibility. They’re creative. New IT career training program helps veterans find jobs (Observer & Eccentric) A new public-private partnership has been formed to provide information and technology training and certification to Michigan veterans. ‘Warriors 4 Wireless’ Program Helps Vets Find Tech Industry Jobs (LiveScience) A new nonprofit program aims to help veterans and returning service members find jobs in wireless telecommunications, as part of a broader goal to have 5,000 vets employed in the expanding industry by the year 2015, according to officials from the Department of Defense. Wounded Warrior Group suing Indiana veteran it says defamed it (UPI) A national veterans assistance group is suing an Indiana veteran it says defamed it, court documents show. Veterans Pitch In to Help Serve, Overseas and at Home (ABC News) To celebrate Thanksgiving, President Barack Obama and first lady Michelle Obama – along with daughters Sasha and Malia – went to the Capital Area Food Bank to serve nutritious meals for hungry families alongside post-9/11 veterans who were reporting for duty in their community. Veterans see glitches in getting new licenses (Channel 3000) Some Wisconsin veterans trying to get their hands on special new driver’s licenses have been confused by a state website but unable to get through to a toll-free hotline for assistance. Orlando gives veterans a boost in competing for contracts (Orlando Sentinal) Every year, Orlando issues millions of dollars worth of contracts and purchase orders for everything from staples to giant construction projects. Veterans form organization to help peers (Newburyport News) Two local veterans are extending a helping hand to keep the hands of their struggling peers warm. Easter Seals groups ramp up help to veterans (Philly.com) Like many people, Gary Staten typically thought of the nonprofit group Easter Seals as mainly helping children and adults with disabilities and special needs. Plans progressing on state vets home (The Rapid City Journal) The South Dakota Department of Veterans Affairs has announced that contractors began mobilizing equipment and resources to the Michael J. Fitzmaurice State Veterans Home campus last week. Veterans’ homelessness drops by 24 percent (DCMilitary.com) The Departments of Veterans Affairs and Housing and Urban Development announced Nov. 21 that a new national report shows a 24 percent drop in homelessness among veterans since 2010. Ga. veterans face backlog of claims (Atlanta Journal Constitution) Georgia veterans filing disability claims often face longer delays than their counterparts in other states. DoDLive Bloggers Roundtable: Resources and Benefits for Veterans (DOD Live) The Real Warriors Campaign is a multimedia public awareness initiative sponsored by the Department of Defense. Air Force cancels retraining in 35 career fields (Marine Corps Times) The Air Force announced Tuesday that it has dropped at least 35 career fields from the list of jobs that airmen can retrain into, affecting as many as 1,000 airmen. Army begins correcting medical records for some former Madigan patients (The Bellingham Herald) The Army has begun correcting medical records for former Madigan Army Medical Center patients who left the military with conflicting diagnoses for behavioral health conditions such as post-traumatic stress disorder. Stars and Stripes faces closure if it loses the Battle of Budget Cuts (The Washington Times) Stars and Stripes — long may it wave? Maybe not. The venerable newspaper that has reported independent news about the American military since the Civil War finds itself on the budget-cutting front lines. 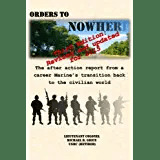 If you would like to subscribe to Transitionnews and also receive updates from Orders to Nowhere, go to the “email subscription” located on the sidebar. You can also follow on Twitter and Facebook! This entry was posted in Transition Posts, Transitionnews and tagged air force, Army, Benefits, career, coast guard, Disability claim, Employment, Job Seeking, Marine Corps, Military Transition, Navy, Networking, Officer, Retirement, transition, VA, Veteran, Veterans Administration, Wounded Warrior. Bookmark the permalink.